It's 'Clash of the Titans!' Or, rather, 'Clash of the Pygmies and Landians!' In cooperation with Bolt Creative, Nine Tales Digital and Luc Bernard brings you a new spin on their popular Desert Ashes turn-based strategy game, guest starring a powerful Pygmy army defending their territory. 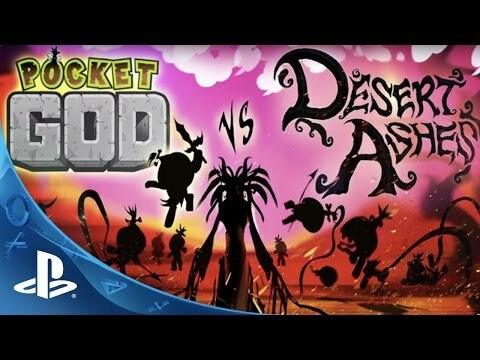 The Desert Ashes Landians have passed through a magical portal to the remote islands of Pocket God. The Landians' victory over the indigenous Pygmies isn't as assured as they think. Even with their futuristic weapons, the Landians face a resourceful foe armed with spears… who are in turn allies with head-hurling zombies and sharks shooting laser beams!